A classic love story of high-school sweethearts, Lauren & Damon’s romance is truly the stuff of every girls dreams! 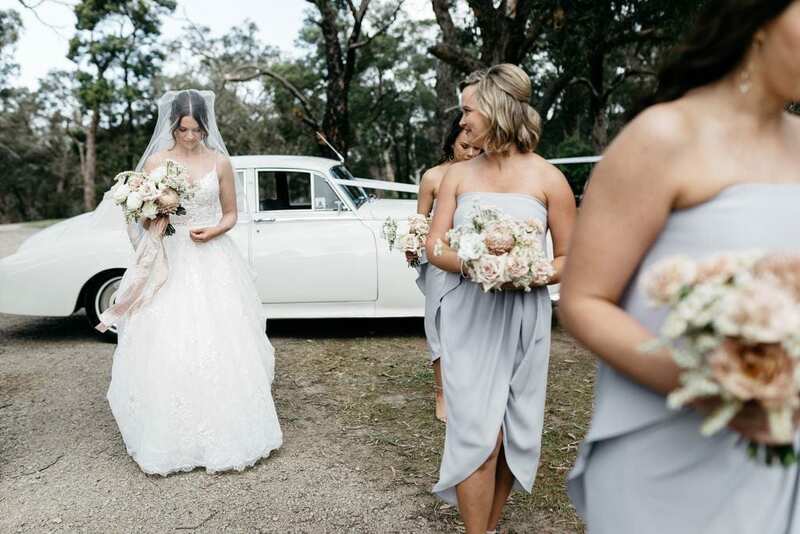 The couple’s modern romantic wedding held at the breathtaking Tanglewood Estate in Victoria was styling heaven – perfectly reflecting their sweetly blossoming romance. “Damon & I met in highschool. We were best friends initially & then it blossomed into more after school. We’ve been together ever since, and Damon proposed 10 years to the day after we met under an incredible fig tree in Byron Bay.” Lauren said of their story. Their big day was everything and more with gorgeous details such as blush pink roses and ribbons pared back with a rustic chapel and classic black bow ties for the groomsmen. Their stunning ceremony was closely followed by a luxe reception held in a beautiful brick barn superbly styled by Wanderlust Creative. The overall feeling was one of warmth and love as the pair celebrated their nuptials with family and friends. To see more cuteness from Lauren and Damon’s big day, head to the gallery below!